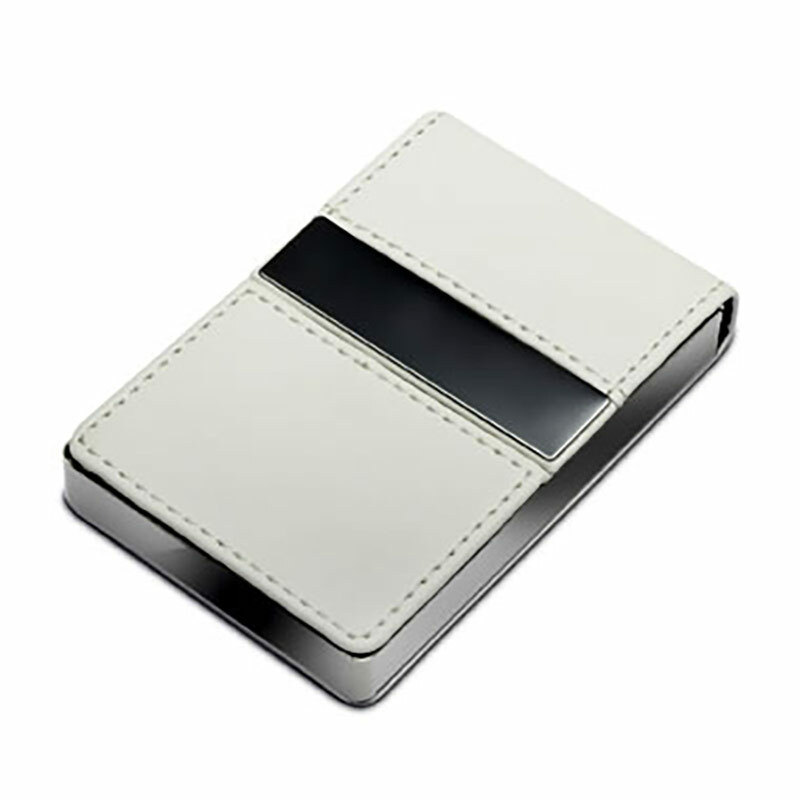 A sturdy metal business cards case with white PU leather cover and a brushed metal plate for engraving. These affordable business card holders are offered with free engraving of the metal bar across the white leather covered lid. Add a brand logo, company name, marketing message or event details to create a practical and attractive corporate gifts or promotional merchandise item.